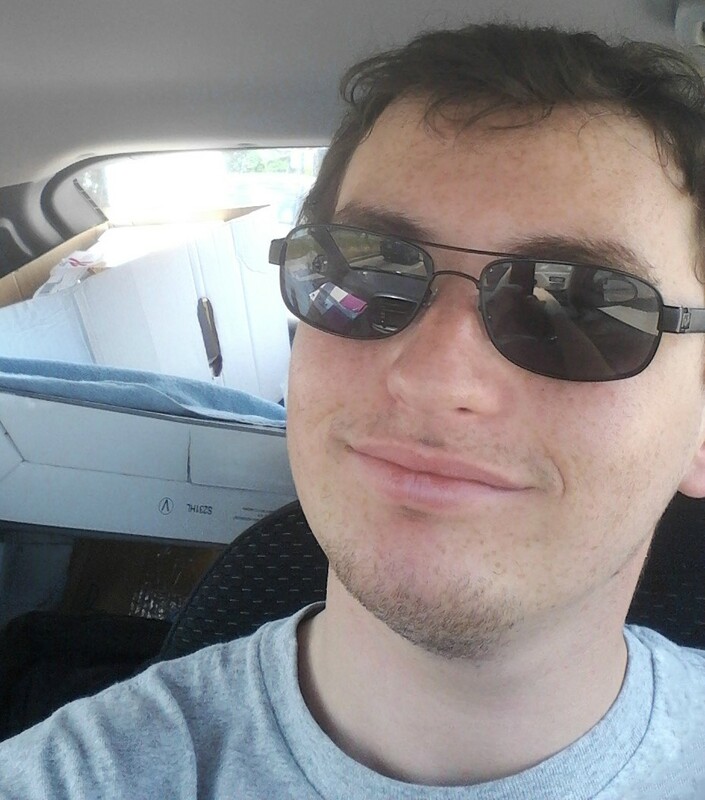 Welcome to another Top 5, this time covering the top 5 movies made by Shane Black. The reason why most of you will know Shane Black is that he just wrote and directed Iron Man 3 but he’s actually been in the movie industry for years. In fact, even though he only has one other director credit under his belt (which will be on the list for more information) Mr. Black has been one of the most successful action movie writers. I’ve always been a big fan of his writing as he provides great action with good characters with smart dialogue, so here’s the Top 5 movies (in no specific order) he wrote for you to go and see if you somehow hadn’t already. 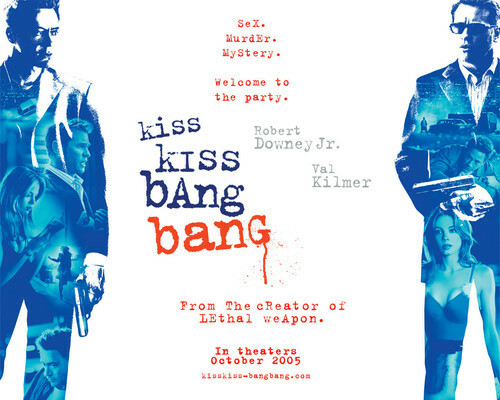 Kiss Kiss Bang Bang is the Shane Black movie I have a feeling most people haven’t seen, which is downright criminal as its one of my favorites, plus it’s also the first time he directed. It’s also important to note that this movie, like Iron Man 3 starred Robert Downey Jr., here as a fairly nebbish thief who when escaping the cops gets caught in an audition and flown to Los Angeles. Downey does a great job with the neurotic Harry Lockhart character who you really like but also realize is an idiot constantly in over his head. A lot of the “complaints” I’ve heard directed towards Iron Man 3 is actually that he was too much Harry Lockhart in the movie, and there are elements so if you liked that in there you’ll love it here. As they are prepping Harry for his possible role in the movie he lucked into he meets his “mentor” to prepare him to play a detective, real private investigator ‘Gay’ Perry (Val Kilmer). Perry, as his name implies is homosexual, but that factors in little more then that (and a few little but solid jokes) but really Perry shines as a highly sarcastic and belittling to Harry as Harry is constantly confused and asking questions that are abundantly obvious to Perry. It is a great pseudo-noir movie with a lot of twist and turns, some romance and great laughs. That’s why this one came first on the list, because its just great fun. 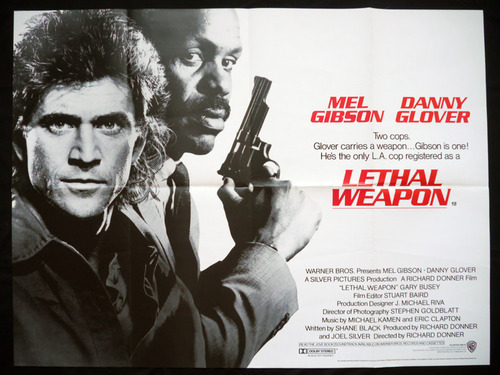 While only debatably the best in the series (some prefer Lethal Weapon 2) the original Lethal Weapon is still a great movie and was kind of the start of the late 80’s, early 90’s action hero that was more or less the everyman. The movie came out only a year before Die Hard which is generally credited with that title, but I find that Roger Murtaugh (Danny Glover) and Martin Riggs (Mel Gibson) define it just as well. This was basically Gibson’s American Action movie debut, having just made the last Mad Max movies just 2 years before, and for my money the only substantial action role Glover had had before then was the Western, Silverado. But these two came together as the gritty buddy cop duo from different worlds that needed each other and blended well. Riggs was a wild man, former Special Forces who had a bit of a death wish after his wife’s death, while Murtaugh was a bit older but a well experienced cop with a family who he loved dearly. Mix in the racial culture differences and its clear why they would have issues at first, but after coming to trust each other, and Riggs finding himself happy to be welcomed by the Murtaugh family they come together to be the best partners, and having to take on a giant criminal conspiracy by former military that threatens the city and their lives. Its great action and good comedy, and even if it gets fairly hit and miss in the sequels you can still enjoy them all due to the chemistry of the stars. This is one that is a bit hard to fully validate as great, some people would certainly fight me on it, but compared to one of Black’s other movies, The Last Action Hero, the movie as a whole is better. I feel like I need to qualify that a bit more, The Last Action Hero is a well written concept by Black with some good lines and ideas throughout but is a pretty average movie making fun of 80’s action movies a bit. 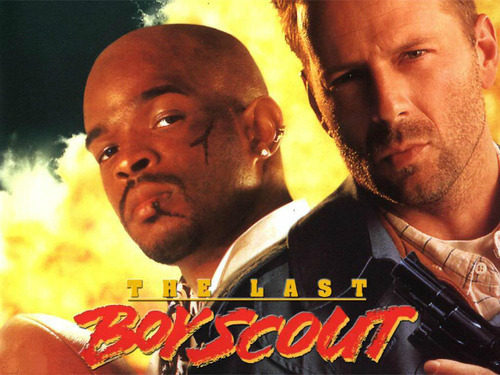 The Last Boy Scout is more a take on the everyman hero with the most well-known such hero in it, Bruce Willis, while also commenting on the power of big business and professional sports. 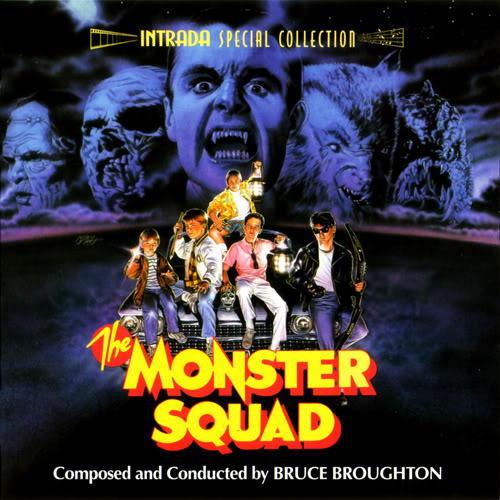 If you’re a little lost, that might be why this movie isn’t exactly well known or well loved, but I’ll try to clear it up. Joe Hallenbeck (Willis) is a cynical and down on his luck detective who is hired to protect the stripper girlfriend of ex Quarterback Jimmy Dix (Damon Wayans). When the girl gets killed Hallenbeck and Dix try to figure out why, unveiling a conspiracy involving a politician and pro football. It’s a fairly gritty crime and conspiracy movie but overall it plays out well, again with the Shane Black hallmarks of great character interactions and really solid action scenes. You can catch this movie on TNT or similar stations so you should be able to see it some time. I know a lot of people would be mad if I didn’t include this on my list, but I almost didn’t because I regrettably have never seen The Long Kiss Goodnight so it is last on this list and I have the least amount of info to add. Yeah, I could’ve done another of the Lethal Weapon movies or Iron Man 3 but we did the first Lethal Weapon covering the series, and you have our Iron Man 3 review to recommend that to you. The Long Kiss Goodnight is an Action Crime Drama (Black’s specialty) starring Samuel L. Jackson and Geena Davis. The plot revolves around Samantha Caine (Davis) the perfect mom and homemaker who, after a bump to the head, begins to remember she was a lethal secret assassin for a group called The Chapter who are now out to kill her. With the aid of private detective Mitch Henessey (Jackson) she had hired to uncover her old life before (lost due to amnesia) aids he in killing off The Chapter and protecting her family and her new life.